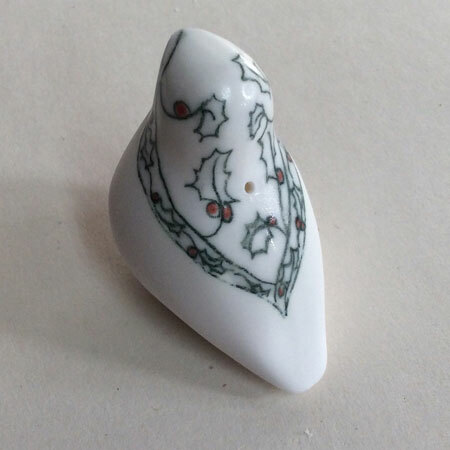 As seen in &apos;Kirstie&apos;s Handmade Christmas&apos; first aired 5 Dec 2017 at 8pm. 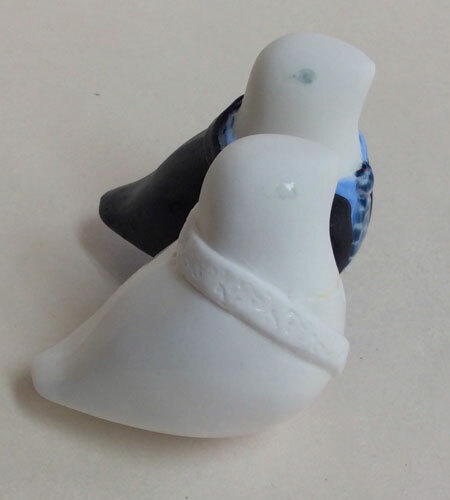 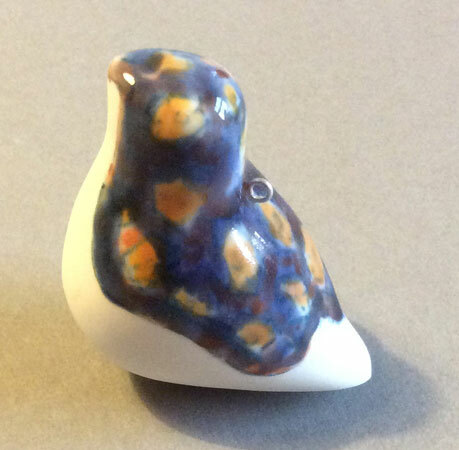 Using my own hand made plaster moulds and my own clay model I create ceramic birds using bone casting slip. 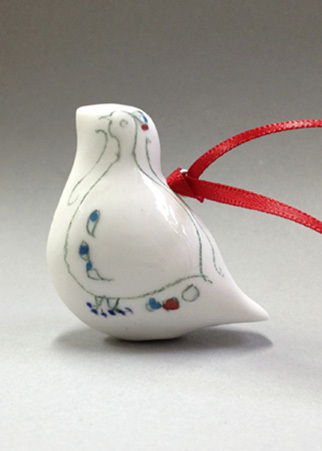 After biscuit firing I depict interesting original designs using ceramic pencils, underglaze pigments and glazes. 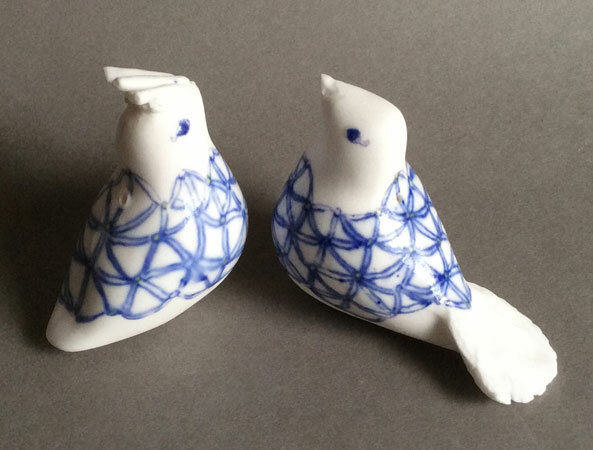 These are then fired to 1245°C in an electric kiln. 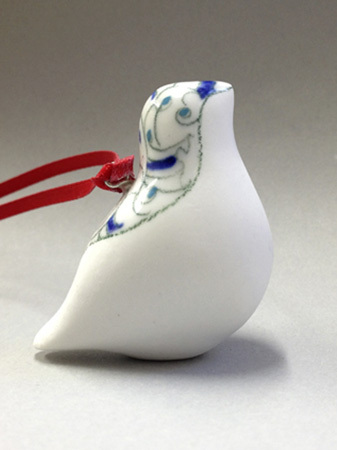 They are either fitted with a silver loop attachment and ribbon for hanging, or without attachments as stand alone birds. 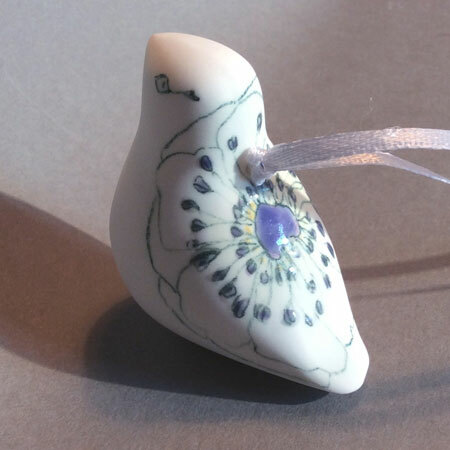 Sizes range from medium: height 5cm x length 6cm x depth 4cm, to small: height 4.5cm x length 5.5cm x depth 3cm. 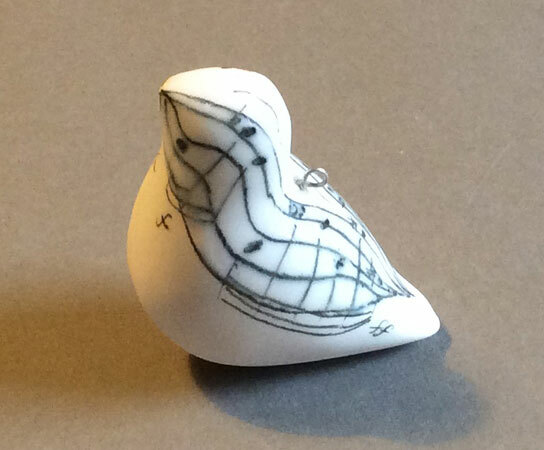 Prices range from £30 to £15 depending on intricacy of design. 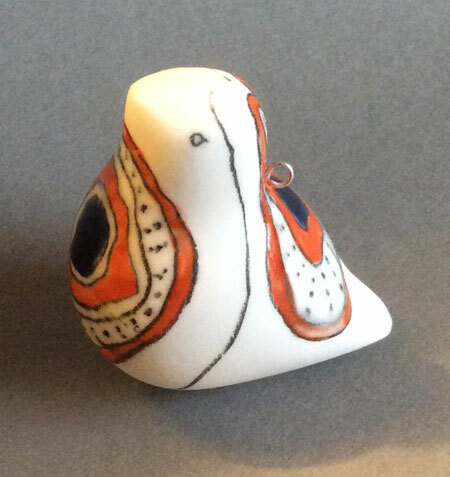 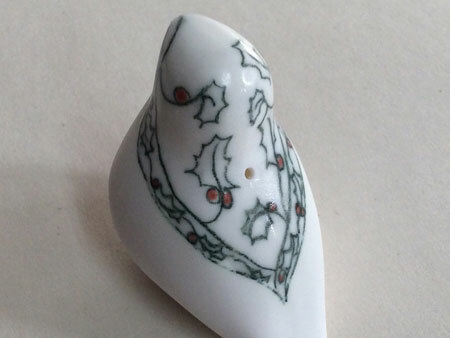 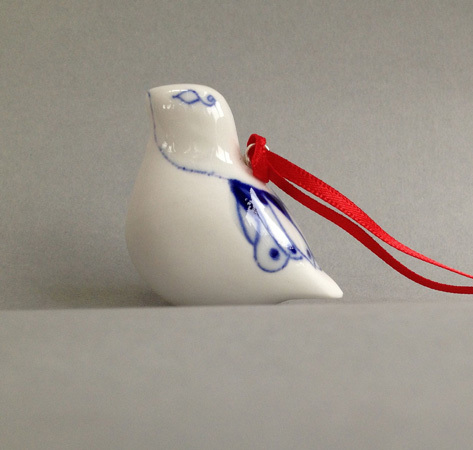 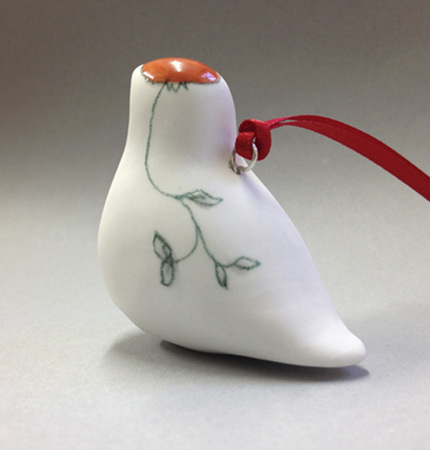 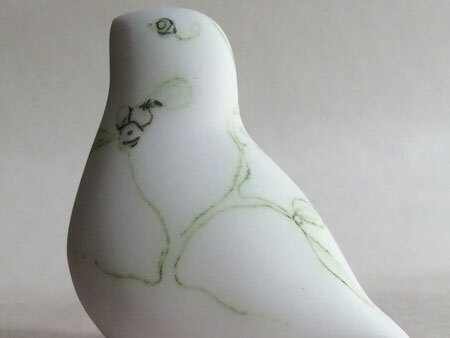 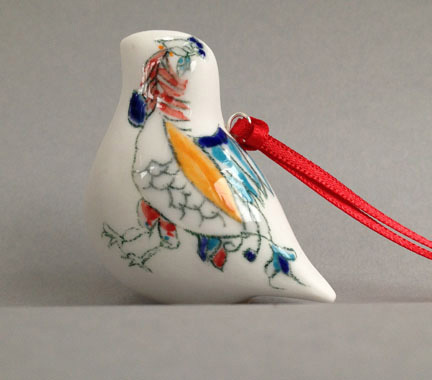 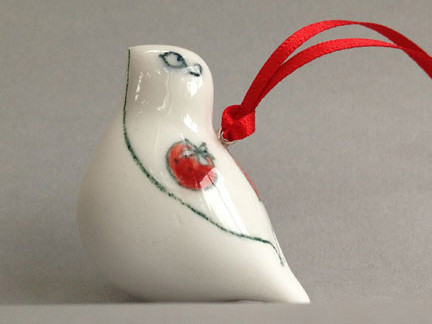 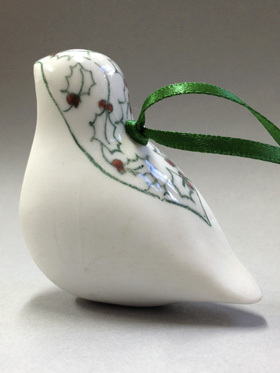 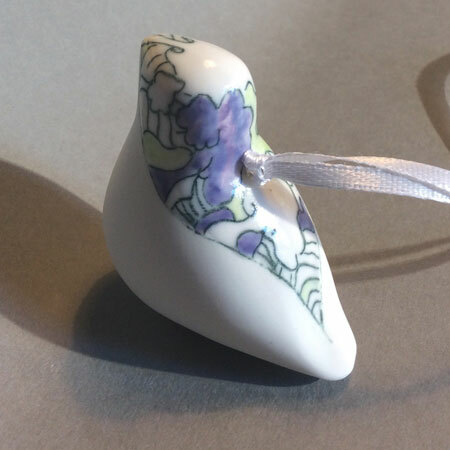 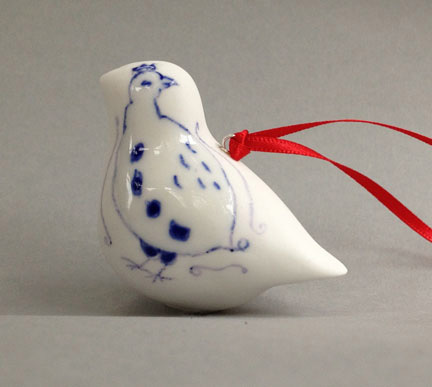 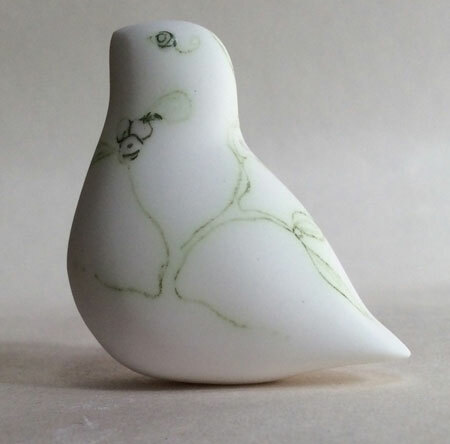 If you are interested in buying from my Bone China Ceramic bird collection or commissioning unique pieces please contact me directly through my contacts page. 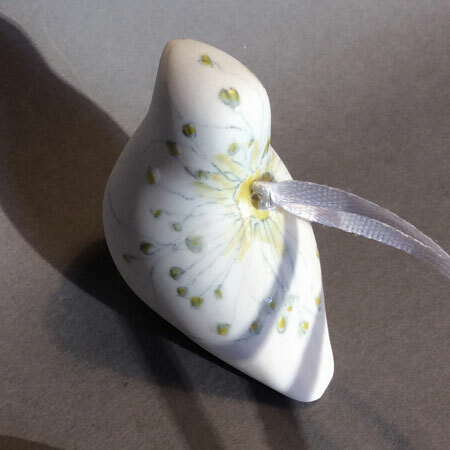 The birds with ribbon attachments are not suitable for babies or young children as they have small silver metal parts.